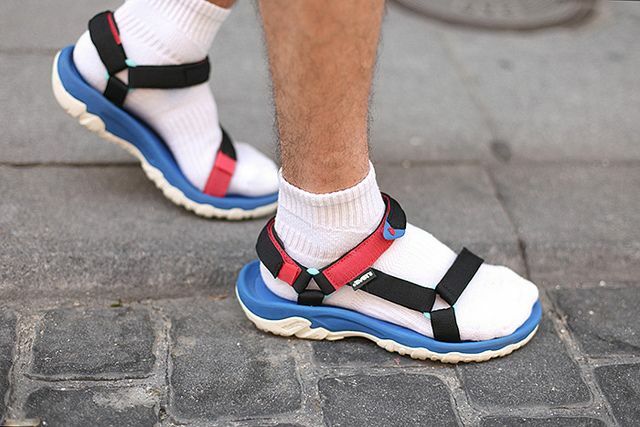 There are plenty of jokes on social media about "the socks and sandals set," generally disparagingly referring to what the writers think are wrong-headed funny old people who wear socks with sandals. News flash Buford: If you're not immediately headed for the sand on the beach, it is you that maybe should buy a clue. Socks have been worn with sandals for millennia and if I have my way, they will be forever more. First, socks have been around since the times of the Egyptian pharaohs. The ones that have been found in tombs have a big ol' division right in the middle of the toe box, stuffing half the toes on one side and the others to the opposite side. Why? To better engage the sandal! Socks. With sandals. 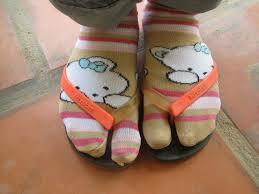 But, alas ... socks were expensive so only the elite or royalty typically ran around in socks & sandals -- and armies. It seems that a fair number of centurions were equipped with socks to protect their feet on the long marches. That's one of the main reasons for socks now, with sandals. So you don't get those hot spots just before getting blisters; so you don't get those raw spots where the straps have been rubbing dirt and abrasives into your skin; and, so you can quit stankin! That's right, oh great sockless society. Ever notice that green cloud down around your feet? Stank! Your nasty sweat has soaked into all of the sandal components and provided the moisture to grow all of that gross foot bacteria. I hope you're parking those nasty things out on your porch at night. Another benefit of the enlightened use of socks is that they give decent protection from mosquitos, ants and the bites of those spawn of satan -- noseeums. Lastly, socks can be a fashion statement for you mavens of sartorial splendor. I would address the deviants who run around in leather shoes with no socks but I figure they'll catch something from the breeding ground inside their shoes or the smell will get 'em sooner or later. 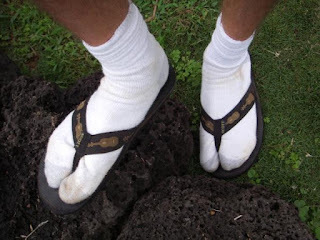 So, I decree that anyone (away from a beach) who is not wearing socks with their sandals shall be cited for their offense and may be sentenced to public shunning. Finally someone that thinks like I do about socks!